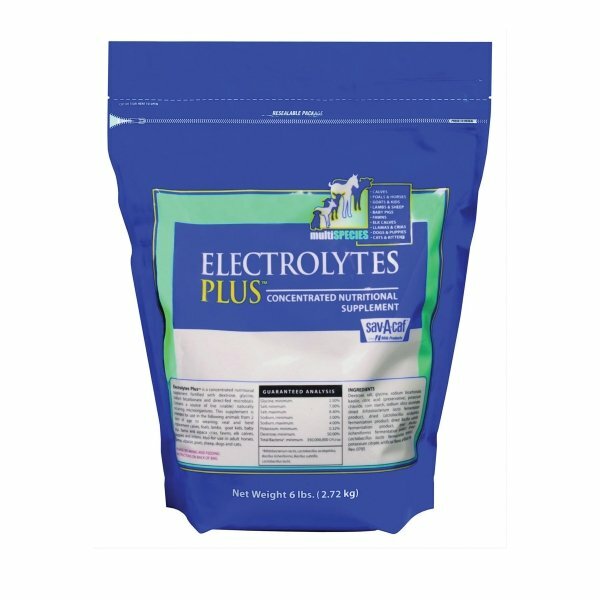 Electrolytes Plus Bag Livestock Supplement has different options and/or variations, please choose below. Electrolyte and energy supplement for calves; horses & foals; sheep & lambs; goats & kids; llamas, alpacas & crias; fawns. Mix one enclosed cup (6 ounces) of dry powder into 2 quarts of lukewarm to warm water. Feed as directed on label for each individual species. Ingredients: Dextrose, Salt, Glycine, Sodium Bicarbonate, Kaolin, Citric Acid (Preservative), Potassium Chloride, Corn Starch, Sodium Silico Aluminate, Direct-Fed Microbials, Potassium Citrate, Artificial Flavor, Artificial Color.